His crimes - unforgivable. His death - inevitable. His suffering - just beginning. Obadiah Stark aka The Tally Man, is executed at ADX Absolom, his death sentence watched by the world's media, victim relatives and one investigative reporter, Joe O Connell. Penning an account of Stark's personal history and subsequent crimes in the hope of determining what elements make the sociopathic mind tick, Joe discovers clues and inconsistencies which cause him to investigate Stark's execution. While this is happening in the real world, Obadiah Stark awakens to an afterlife where he has a wife and daughter bound to his childhood hometown. Following his natural predatory instinct, Obadiah proceeds to torment the town, committing multiple murders before being gunned down by the police. He awakens to find that everything has reset, with no one recalling his murderous spree a reality which offers no escape. As the scenes repeat, he is forced to submit to emotions he has never experienced before... and with it, a poisonous dose of morality. This book really got under my skin and it was so unique in the way that it was more about the punishment than the crime. Obadiah Stark is a chilling sociopathic killer who has a tattoo on his back keeping count of his victims. When his killing spree moves from America to Ireland he is finally captured and sentenced to death by lethal injection. One of the people in the crowd at the execution is reporter Joe O'Connell, who is writing a book on Stark. As he continues researching his book, he finds that something wasn't quite right with the execution and relentlessly digs until he finds out the shocking truth. 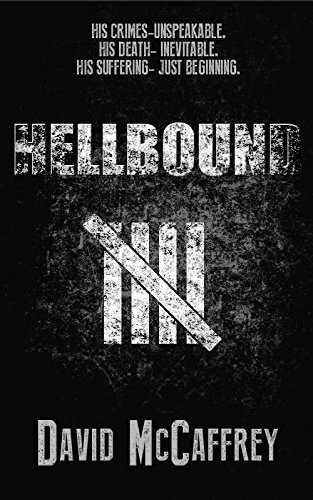 I really enjoyed Hellbound. It was so completely unique and had my brain in a bit of a tizz. I alternated between thinking either Obadiah is in the afterlife or something really freaky is going on. As Obadiah relives the same day over and over again (which to some would be punishment enough) you can feel him gradually becoming more human and less killer as he forms an attachment to his family. As Joe's investigation gets closer to uncovering the truth, Obadiah's real punishment is ready to be doled out. This is a book that you definitely can't stop thinking about or talking about long after you've finished it. There are so many moral and ethical questions to dissect and discuss. Hellbound has given me a cracking moral question to mull over and discuss over a few beers: is one death adequate punishment for taking 27 innocent lives? I think not. 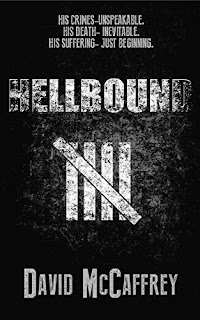 Hellbound is intelligent and unique; I will definitely be adding the prequel, In Extremis, to my kindle without delay! 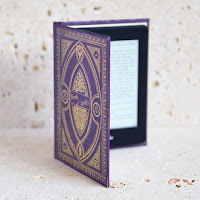 I received this e-book from Booklover Catlady Publicity, in exchange for an honest review.